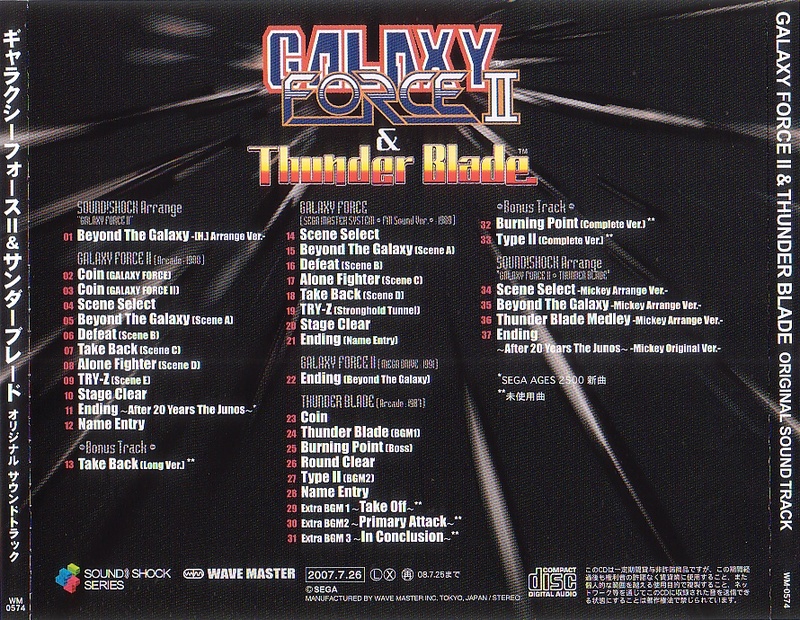 Galaxy Force II & Thunder Blade Original Sound Track (ギャラクシーフォースII＆サンダーブレード　オリジナルサウンドトラック) is the official soundtrack to Galaxy Force II and Thunder Blade. As well as covering the arcade tracks, Sega Master System and Sega Mega Drive tracks are also included. The album was released at the same time as Sega Ages 2500 Series Vol. 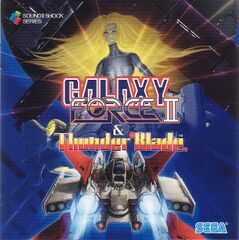 30: Galaxy Force II Special Extended Edition. In July 2013 the album was released as a digital download on Amazon and iTunes, with individual tracks costing ¥150, £0.99 (£0.79 on iTunes), US$0.99 or €1.29 (€0.99 on iTunes) each.